We would like to express our sincere thank you for your Handy Lift product. 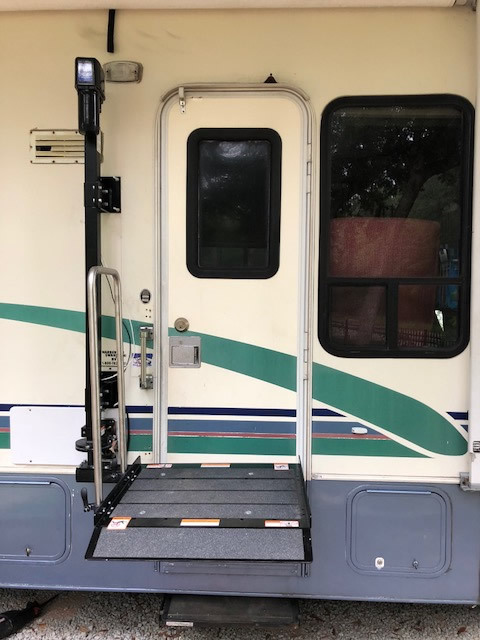 We just had it installed on our bumper pull rv around the first part of May. We have been out on a couple of trips and it has been a life saver. My husband can't hardly walk or climb stairs and my knee is almost gone and I can't climb either. 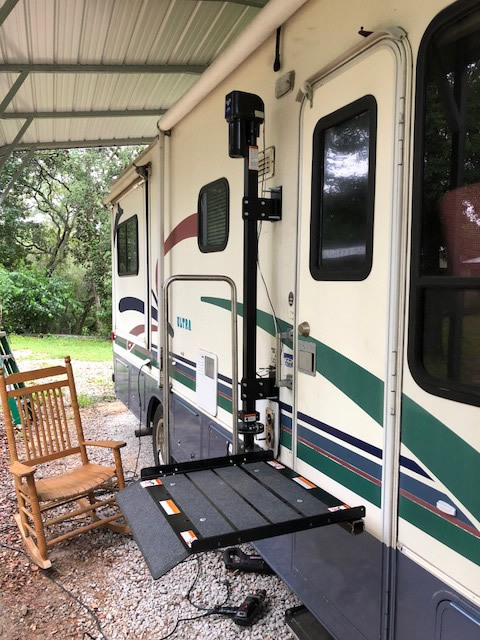 So your lift has made it possible for us to continue to travel in our rv for I hope several more years. 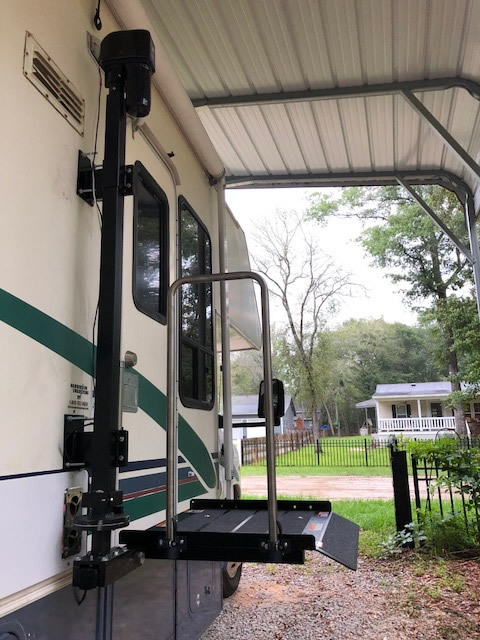 I just finished installing the handy lift on our Motorhome. My mother bought it to aid her getting in and out. It was easy to install and works great. Thanks so much for a great experience and great service. 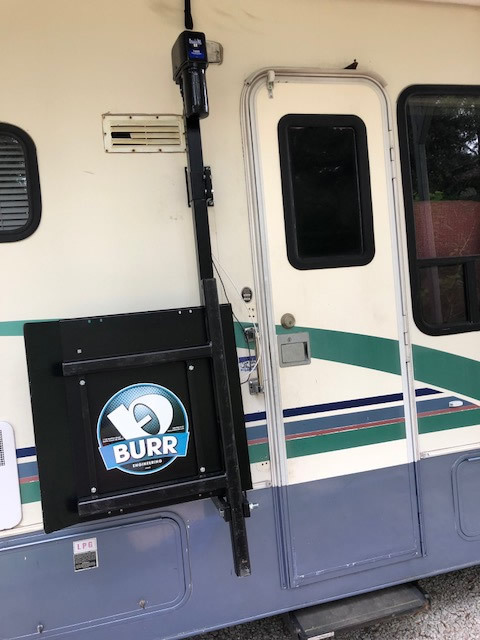 At Burr Mobile Lifts, we are proud of the quality of the products that we offer and we stand by the integrity of their performance. That’s because our qualified and experienced product engineers take their time to design platform lifts that are safe, durable, and dependable. You can rely on any of our mobile lift products knowing that they’ve been built with the best craftsmanship and attention to detail. That’s important because you want a platform lift that will last you for years to come. Well, the good news is the we’ve done all the worrying about that so that you don’t have to. Each of our platform lifts begins as a series of raw materials that are then shaped and cut specifically for their final application. We select strong metals that are capable of holding large amounts of weight, and then we add all of the necessary electronic and mechanical components. Assembly of the lifts is quality controlled throughout every step, and a final inspection ensures that the product is 100% up to our standards before it is shipped out to an eager customer who is ready to improve their mobility with a platform lift. Our goal is not only to give mobility to our customers, but also to offer the best value for their spending. Rather than copying competitors in the industry and making generic platform lifts that are marginally useful, we prefer to stand out by starting from scratch and stamping our name on a truly superior product for the physically impaired. That’s what makes us an industry leader, and that’s the vision that we hope to carry into our future. For over 25 years, Burr Engineering has remained committed to listening to the needs of customers and focusing on creating quality platform lift products. The hassle free nature of our platform lifts offer many advantages and significant design improvements over the competition. That’s because we’re engineers, so the design matters to us for all kinds of reasons! Just give us a call to request a brochure and find out for yourself what Burr’s quality products can do for you.